Grissard species is a hybrid of Aspen “populus tremula” and White Poplar “populus alba”. It is a soft wood identified by its light weight and native to Central and Western Europe. Its name was given due to the greyish color of the back of its leaves. This species, also known as Grey Poplar, has an attractive, lustrous surface which, combined with its colour, gives it a pleasing bright appearance. Sapwood is usually creamy coloured, contrasting slightly with the pale yellow to yellowy brown heartwood. The logs may be either flat cut or quartered as there is a demand for both crown and straight-grained material. Some logs display a decorative mottle figure, particularly on the straight grain veneer and good examples can make a different and very effective choice for special interior work. Grissard is also available fumed. This complex method speeds up the natural ageing process of the wood. 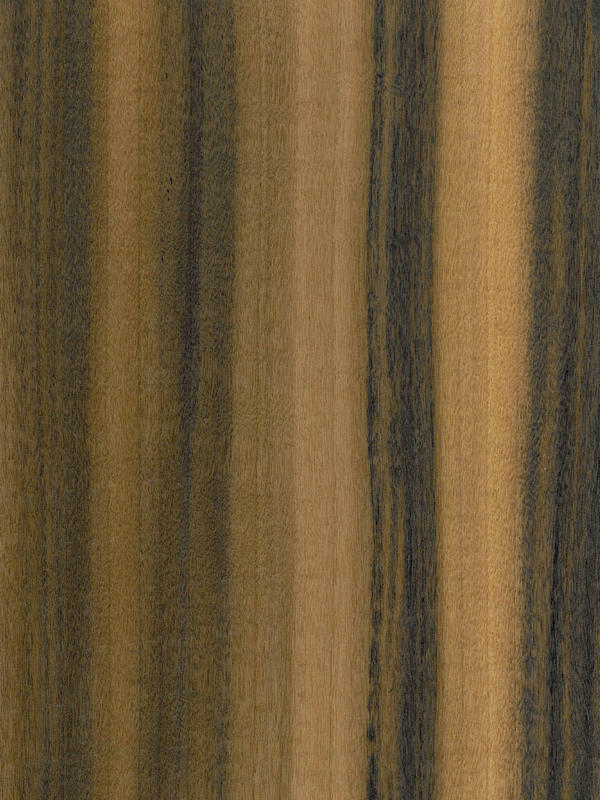 The fuming reacts with the acid in the older mature wood, changing the colour to various shades of grey-brown to almost dark black, sometimes slightly streaked lighter or darker. It should be noted that the sapwood remains almost unaffected by the process and retains its light colour. The mature heartwood changes the colour to an attractive darker golden brown. Due to this, Grissard Fumé is characterized by its beautiful contrast of colours after the fuming process. This veneer can contribute personality to create a modern or unique space. Indeed is one of the most desired veneers because of its distinctive combination of colours for architectural projects and interior design.